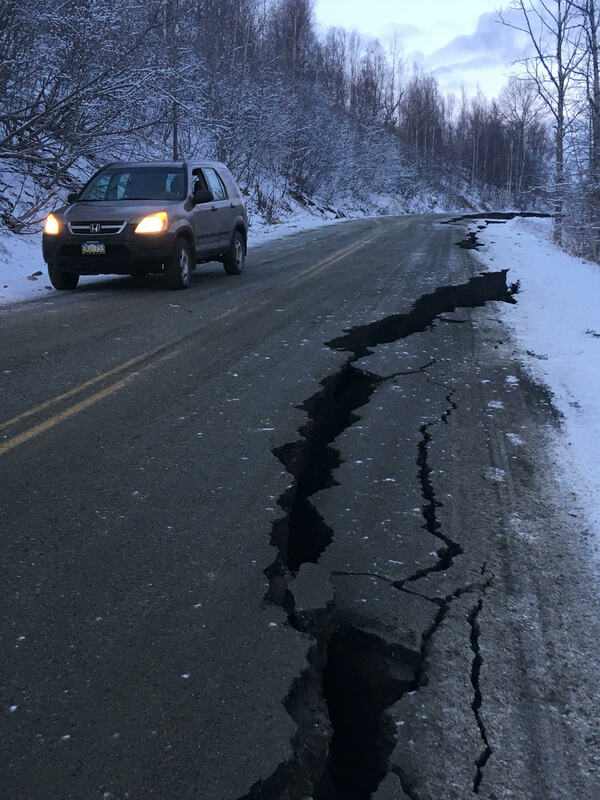 Major earthquake of 7.0 hits Anchorage. I haven’t heard complete news. I know a lot of people are without power and heat. 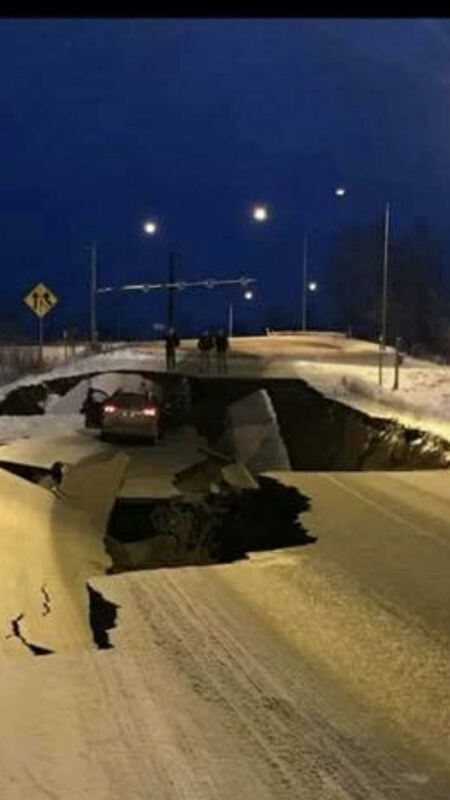 Remember, this is Alaska and it’s winter. Currently about 20 degrees. This is Wolverine Road going down into the Canyon.